Miss Fletcher (active 1890s), Actress. Sitter in 1 portrait. 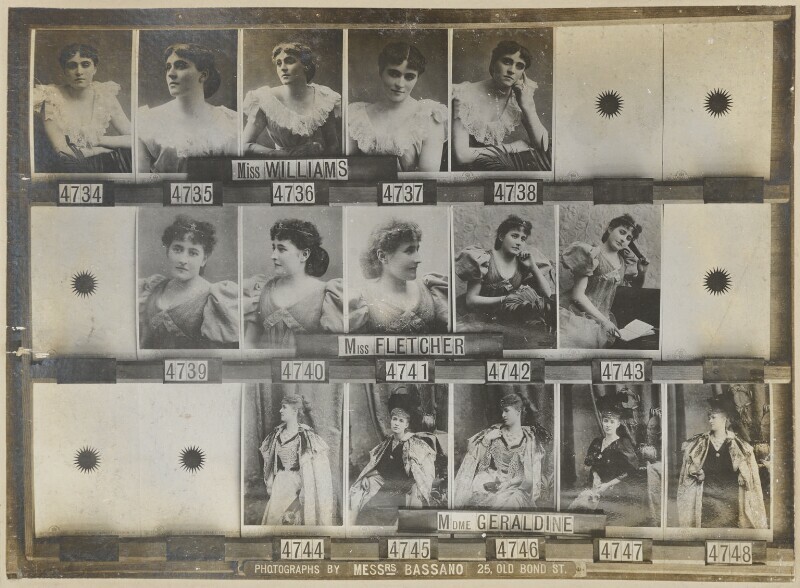 Madame Geraldine (active 1890s), Actress. Sitter in 1 portrait. Miss Williams (active 1890s), Actress. Sitter in 1 portrait.